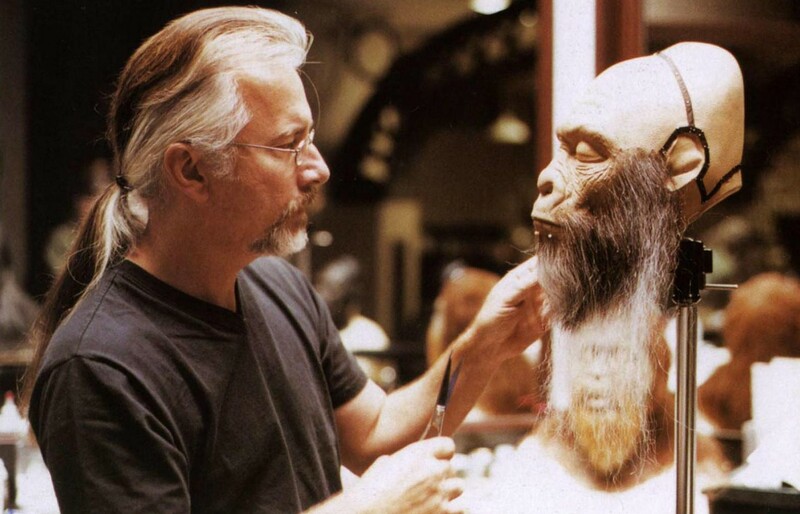 For Dino de Laurentiis remake of King Kong (1976) Rick Baker created the Kong suit and played the role of the giant gorilla. 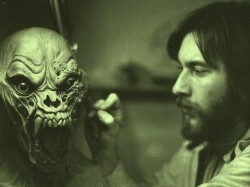 Baker won the Academy Award for Best Makeup a record seven times from a record eleven nominations, beginning when he won the inaugural award for An American Werewolf in London (1981). 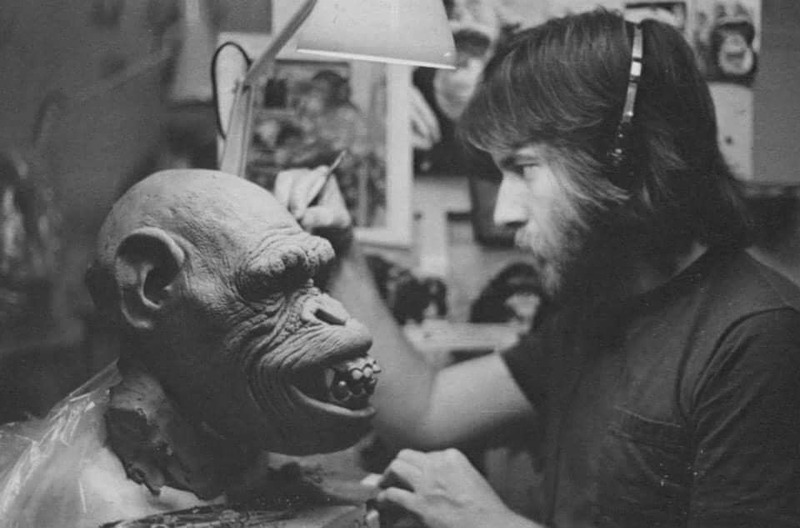 Closed his studio and retired from the motion picture industry on May 28, 2015. 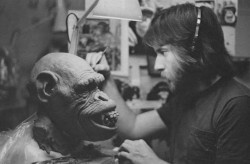 Rick Baker modeling on clay for An American Werewolf in London.